Andrew Bower, MD, FACS, has been serving the communities in and around Pendleton, Oregon, for over 13 years. 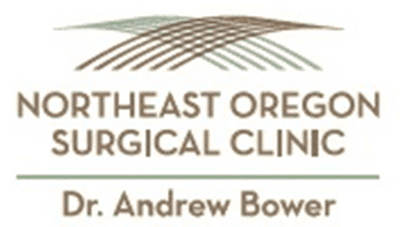 As a board-certified surgeon, Dr. Bower offers a variety of minimally invasive procedures in his office at Northeast Oregon Surgical Clinic. He performs more extensive surgeries at St. Anthony Hospital. As a general surgeon, Dr. Bower performs appendectomies, breast surgeries, skin lesion removal, hernia repair, and more. He specializes in laparoscopic and endoscopic surgical techniques and attends conferences and other training events to stay up to date with best practices in surgery. Dr. Bower earned his bachelor’s degree in biology at Otterbein University. He went on to complete his medical doctorate at the University of Cincinnati. Dr. Bower served both his internship and his general surgery residency at the Cleveland Clinic Foundation/Fairview Health System. Outside of his surgical practice, Dr. Bower spends time with his wife, Susan, and their two children, Nick and Rebecca. He enjoys hunting, woodworking, and restoring antique cars.